Keep the ideal liquid level in the Mashtun during sparging or in a gravity driven wine bottle filler during use. Relieves you from the need to turn the pump off and on so that you can do better things like... clean something or play with the kids. It can be bent to any configuration you choose based off your use. Will switch up to 1/3 hp motor. 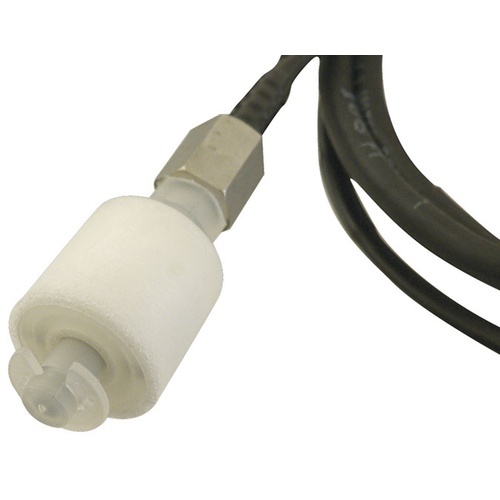 Operation of this float switch can be changed from filling to cutoff by flipping the float upside down. If the switch is behaving the opposite of how you require, remove the pin at the bottom of the unit, slide the float out, turn it upside down, reinsert it onto the post, and put the clip back in place. This will switch the operation of this unit. 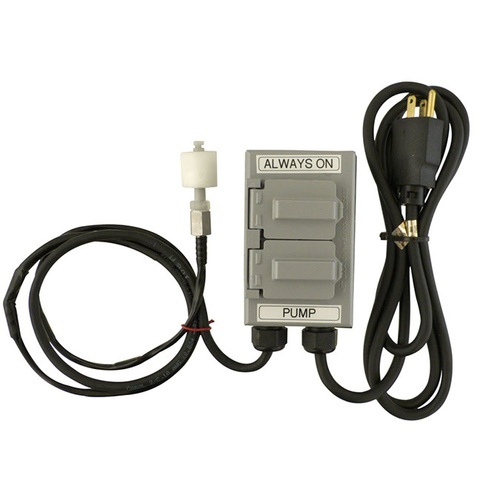 If you have a system that dosnt have the float switch. GET ONE! no more playing catch up with sparge water or getting more than you wanted in the mash tun. Set it up before beginning the sparge and then just pay attention to the run off. This device is more valuable than a friend on brew day. Because friends make mistakes and drink your beer. The Electronic Float Switch has really allowed me to control the quality of my sparge. Before using this easy to use switch I was fly sparging way too fast and using too much water. Now I can set the flow and sit back with a beer while the switch controls the process.